Winners head to Iowa State University for the world finals. 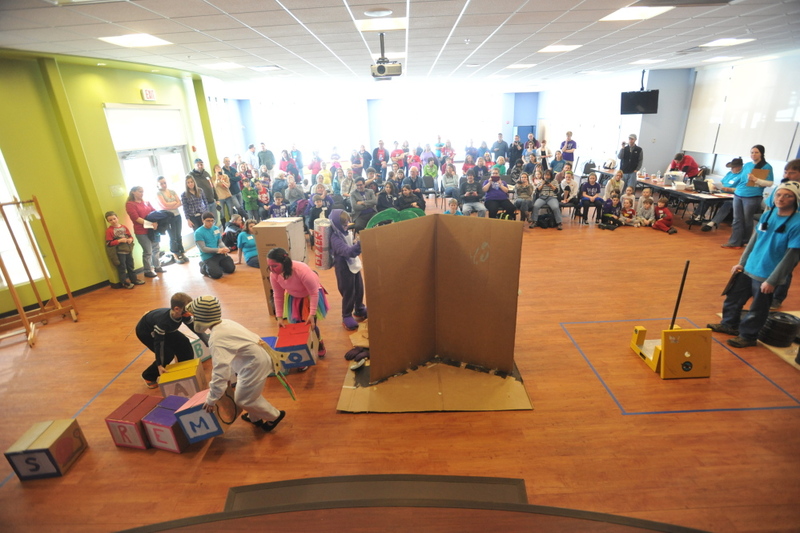 WATERVILLE — Students who competed Saturday at the Maine Odyssey of the Mind competition at Thomas College said the experience has taught them how to solve problems creatively, be part of a team, think on their feet and become more confident. Hendrix and the four other members of her team were among hundreds of students from around the state who converged on the West River Road campus for the daylong statewide competition, which followed the regional events two weeks ago. 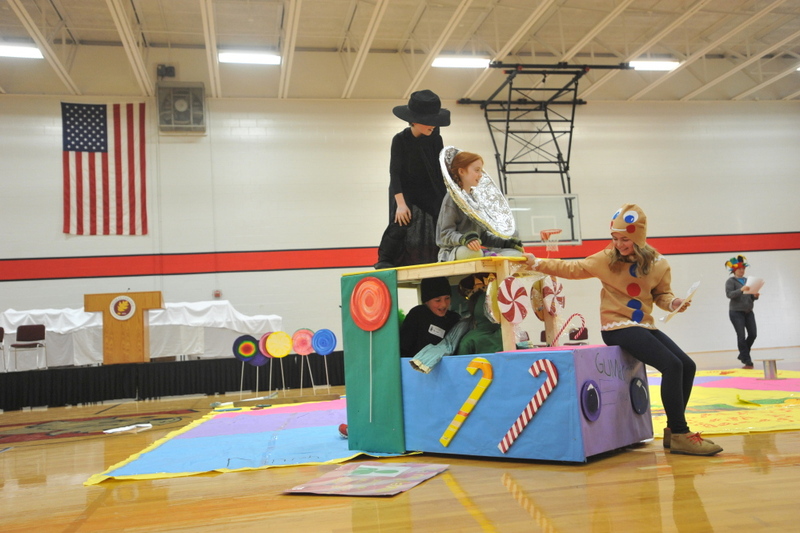 Winners will head to the world finals of Odyssey of the Mind, to be held May 28 to 31 at Iowa State University. Odyssey is an international educational program that provides students in kindergarten through grade 12 opportunities for creative problem-solving. 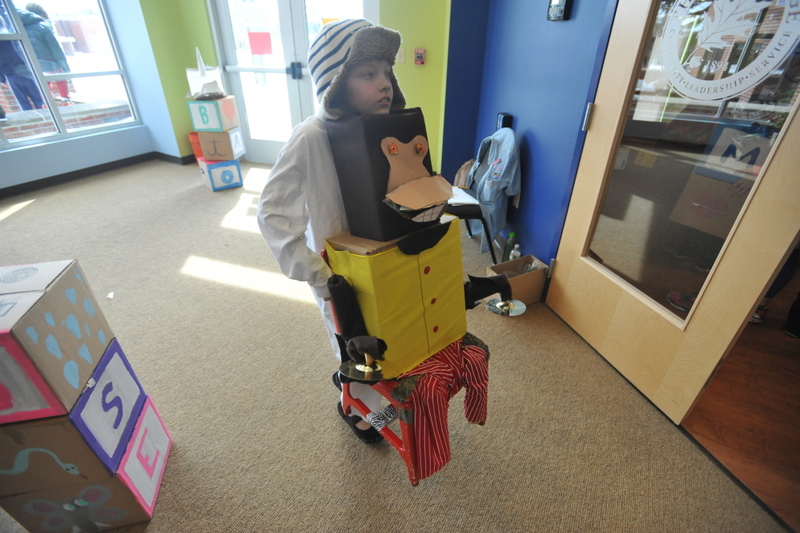 They take part in a range of activities, including building mechanical devices and interpreting literary classics. The students have worked for weeks or, in some cases, months to solve problems related to five things: vehicles, technical issues, literary classics, building a balsa structure and performing. Hendrix and her team dressed up in costumes Saturday and performed a seven-minute skit, “It’s How We Rule,” in which they re-created an historic royal court with King Henry VIII and related characters. They also created their own court — a fairy-tale court — that included Peter Pan, the Cheshire Cat and Queen of Hearts. “King Henry issues a decree that says old books not fitting his specific religion will be banned,” said team member Maddie Joyal-Myers, 14, who played Peter Pan. To defeat the war on books, the two courts competed in a giant chess game as part of their performance. The Gorham students, all freshmen, described their problem and solution while eating lunch Saturday before they were to take part in a spontaneous problem-solving event. Avery Arena, 15, said there’s no way to prepare for the spontaneous event. The students said they think their work with Odyssey will aid them in their careers. Joyal-Myers, who hopes to get into animated movies and television, said it has helped with acting skills and confidence. Joyal-Myers, Avery and Lemieux have taken part in the world Odyssey competition. “I have a very hard time putting myself out there, so Odyssey has helped me get out of my shell,” Joyal-Myers said. Their coach, Lemieux’s mother, Pam Weiss, said her four-year involvement in Odyssey has been as educational for her as it has been for the students. Meanwhile, students from Lewiston Middle School performed a skit in which they attempted to solve “The Stackable Structure” problem. They were charged with designing and building a structure using only balsa wood and glue that would hold weights. Paisley Drakiotes, Gary Ackley and Nathan Deschaies, all 12, and Austin Pratt, 13, built little balsa boxes, stacked them on top of each other over a pole and proceeded to add weights to the top. At 10 pounds, two boxes broke. “They did the regionals two weeks ago and came in second, so this is their second performance ever,” said their coach, Desiree Spaulding, as she watched them perform. She said the structure problem is a difficult one to solve. “It’s a toughie. It really is,” she said. Their costumed performance drew loud applause from other teams and coaches. Meanwhile, Fern Brown, who co-directs the Maine Odyssey with Elise Copeland, said 64 teams took part in the event Saturday. Odyssey was created in 1979 by C. Samuel Micklus, a mechanical engineering professor at Rowan University in New Jersey who challenged his students to solve various types of problems, she said. A teacher of gifted-and-talented programs in five Sanford schools, Brown, who has been an Odyssey coach since 1991, said it is important to meet the needs of creative thinkers. “This really fills that need for kids who need a different kind of an outlet to shine,” she said.